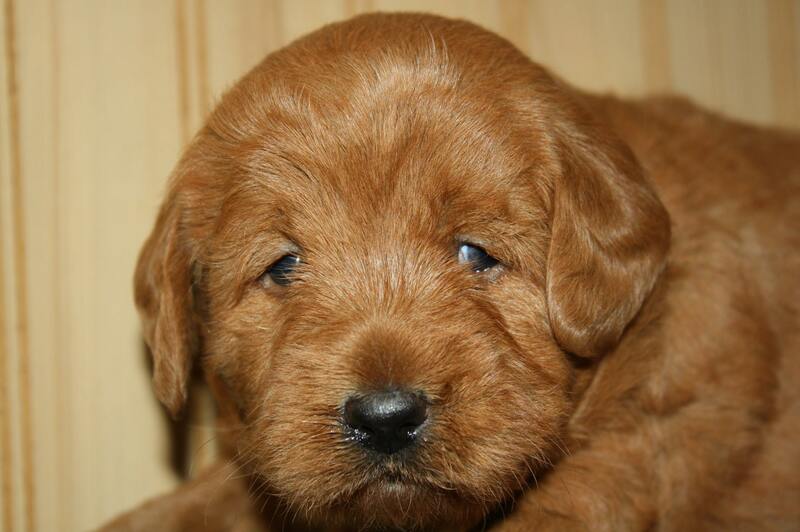 The Goldendoodle is a cross between a Golden Retriever and a Miniature or Standard Poodle. Like both of his parent breeds, he’s intelligent, friendly, and at least moderately active. 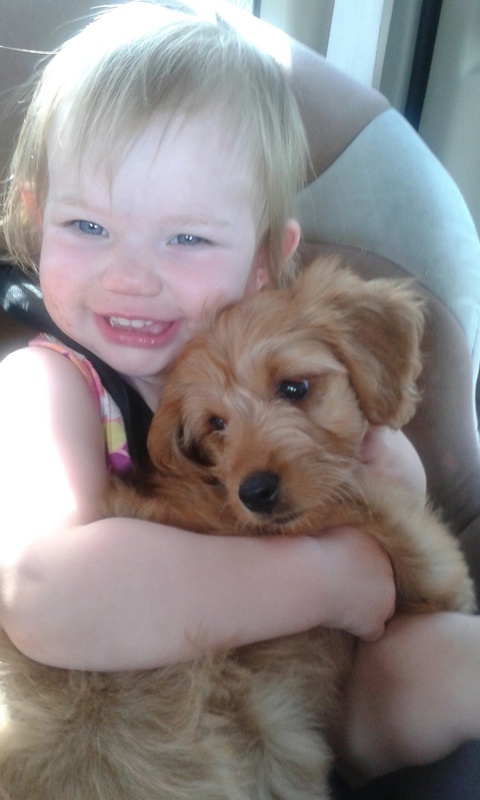 Goldendoodles are the perfect pet for temperament and people with allergies. 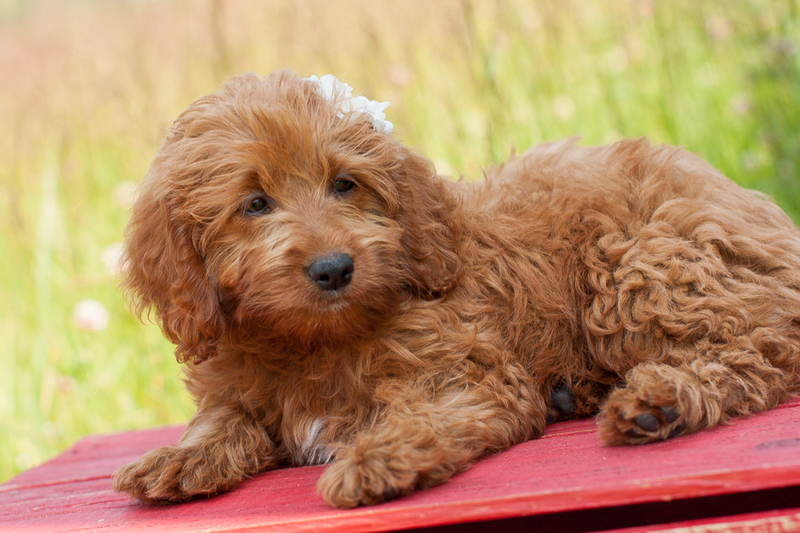 Perhaps one of the best reasons to get a Goldendoodle is that they are low-shedding to no-shedding, depending on the generation. If you have a more severe allergy to dogs, you may want to try an F1B or higher generation puppy to control the shedding. 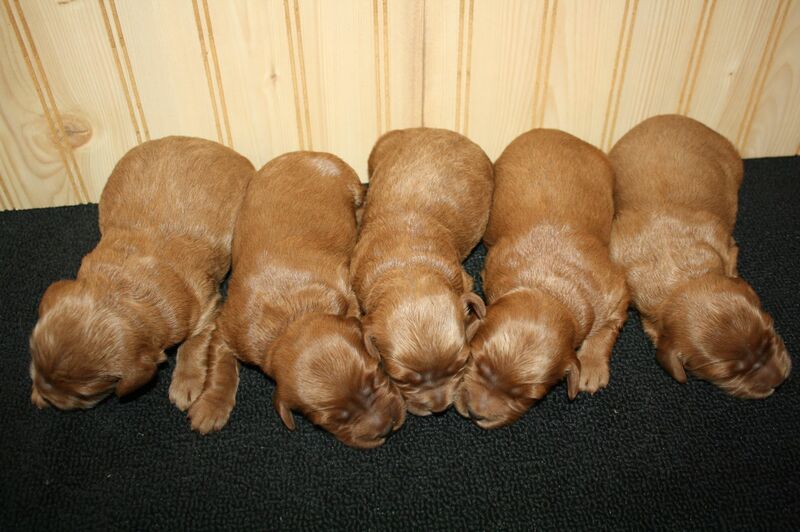 The straight coated Goldendoodle will have taken after the Golden Retriever side. If you are looking for something with less maintenance and a sporty look, this is a great choice, however, they will most likely shed. 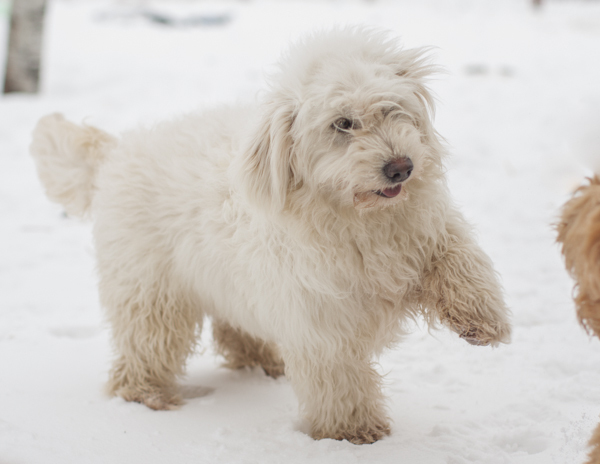 We wrongly assumed our Goldendoodle named Dolly had this coat, but as she got older, the coat became more wavy. A true straight-coated Doodle will not change with age. 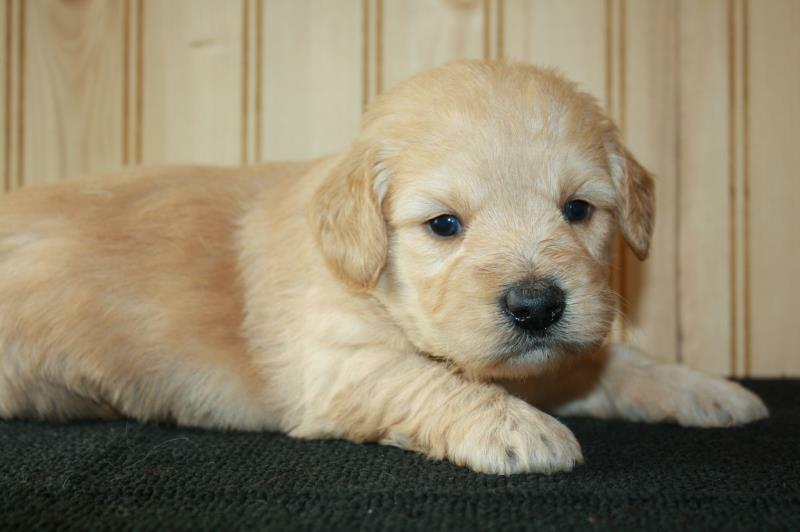 A straight/flat coated Goldendoodle looks more like a retriever. Dixie Chick and Dolly are good examples of this coat type. They require moderate grooming, but still portray a bit of the curly look. As you can see, it is a loose curl which is really pretty. Dolly, just about ready to be weaned and come home. Dolly getting a little bigger!! Dolly, full grown with her new trim! Delta (just weaned) -on our way home from picking her up! Delta has a loose & wavy American Cream colored coat. 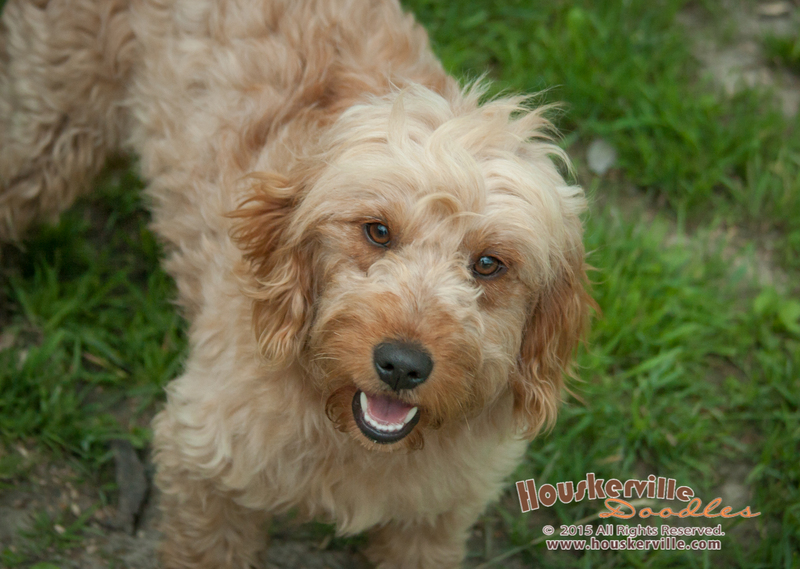 The curly Goldendoodle coat takes more after the Poodle side and has a nice tight curl throughout the body. 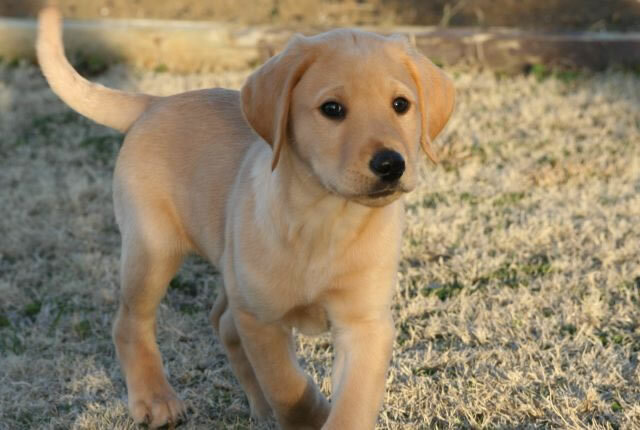 It is hard to know for sure what coat type your puppy will have at a young age, but if you see some waviness around the ears and flank area, this is a good sign your puppy will have a curly coat! Our red Goldendoodle named Reba has this coat. Reba, getting a little bigger! She has a nice black nose and is dark red in color. It is common to show no curl right away, but it didn’t take long until we could see some waves on her ears and lower body. Reba getting ready to be weaned! Reba is pictured above, full grown. Her coat matured to a tighter curl and she continues to look super cute!!! 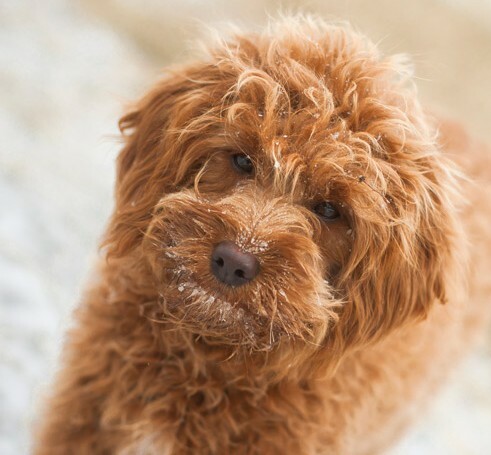 As a hybrid breed dog, Goldendoodles are generally healthier than either of their parents, and there is very little concern of any major medical issues. They have a life expectancy of 12-16 years. 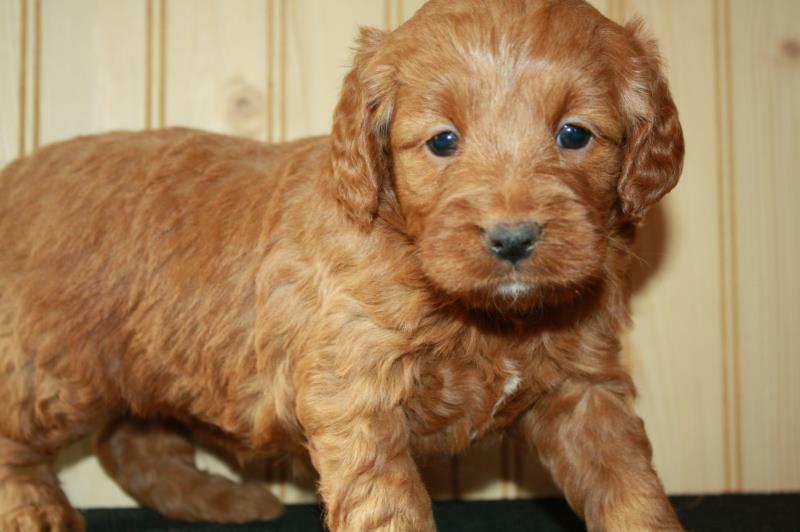 You will find Goldendoodles in a range of colors, including creme, gold, tan, brown, grey, black, or a mixed combination of these. 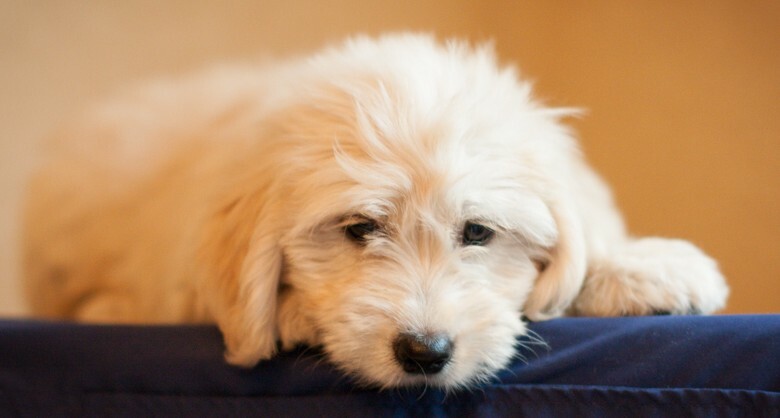 Cream is the most common Goldendoodle color.